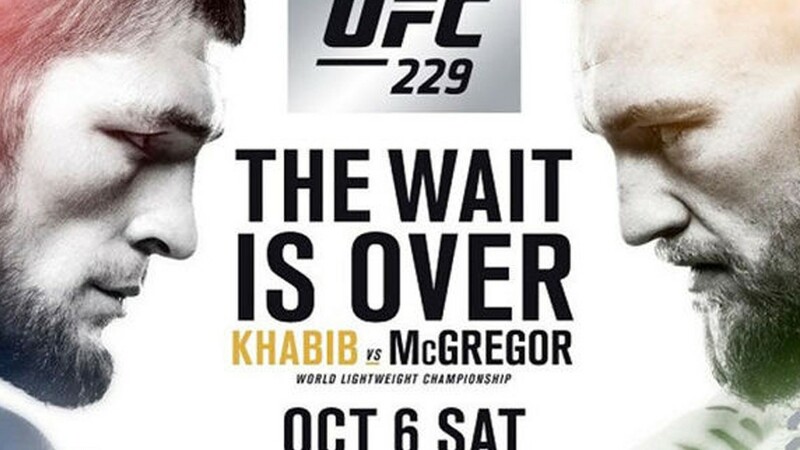 UFC is staging the UFC 229 PPV even which is the biggest fight card of their history set to go down tonight (Sat, Oct 6th, 2018) from inside T-Mobile Arena in Las Vegas, Nevada. The main headliner features a 155-pound title fight between current kingpin Khabib Nurmagomedov and former two-division champion, Conor McGregor, who’s making his long-awaited Octagon return. Meanwhile, the co-main event features a former lightweight champion Anthony Pettis who’ll clash against former interim Lightweight champion Tony Ferguson, in a hope to get to face the winner of main headliner bout. Also in the main card action “The Black Beast” Derrick Lewis looking to put on an incredible performance against Alexander Volkov. Moreover, women’s strawweight Michelle Waterson and Felice Herrig will also clash. The events early preliminary card bouts kick off at 6:30 pm ET on UFC Fight Pass, Preliminary bouts from undercard on FOX Sports 1 beginning at 8 p.m ET and main card starts at 10 p.m. ET on Pay-Per-View (PPV).